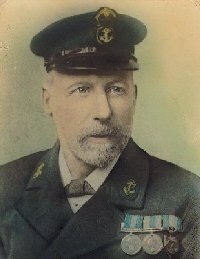 This site, especially the section concerning the terrible hurricane at Samoa and the dramatic escape of HMS Calliope from the harbour at Apia, is respectfully dedicated to my great-grandfather: William Isaac Thorndale. 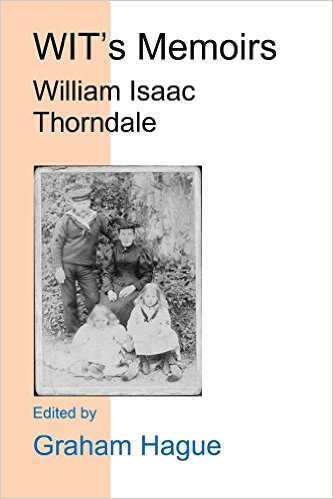 It is worth recording before anything else that William Isaac Thorndale, or WIT, as he seems to have been known to his peers, left two hand-written books of memoirs, penned when he was in his seventies around 1932. It is from these books that I take the majority of the details which follow, but I have also gleaned much from visits to the Public Records Office at Kew, and from a descendant of WIT's brother who kindly got in touch via this web-site. "This is not a history of my life but a rough story of truth[?] and facts of what any person may put down in writing. 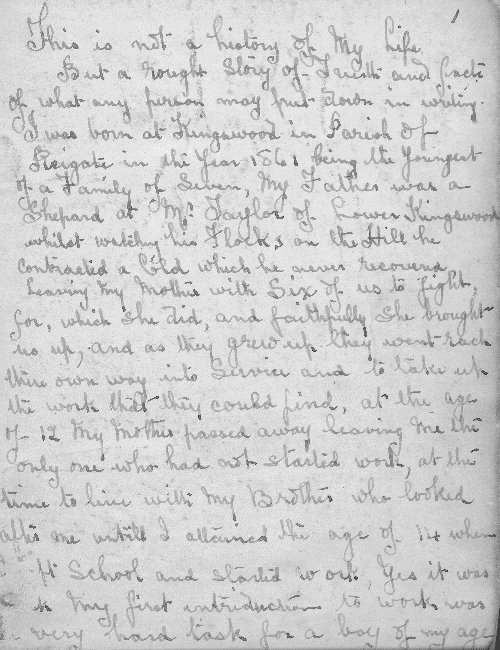 I was born at Kingswood in parish of Reigate in the year 1861 being the youngest of a family of seven. My father was a shepherd at Mr. Taylor of Lower Kingswood, whilst watching his flocks on the hill, he contracted a cold which he never recovered, leaving my mother with six of us to fight for, which she did, and faithfully she brought us up, and as they grew up they went each their own way into service and to take up the work that they could find. At the age of 12 my Mother passed away leaving me the only one who had not started work, at the time to live with my brother who looked after me until I attained the age of 14 when I left school and started work. Yes it was [?] my first introduction to work was a very hard task for a boy of my age."